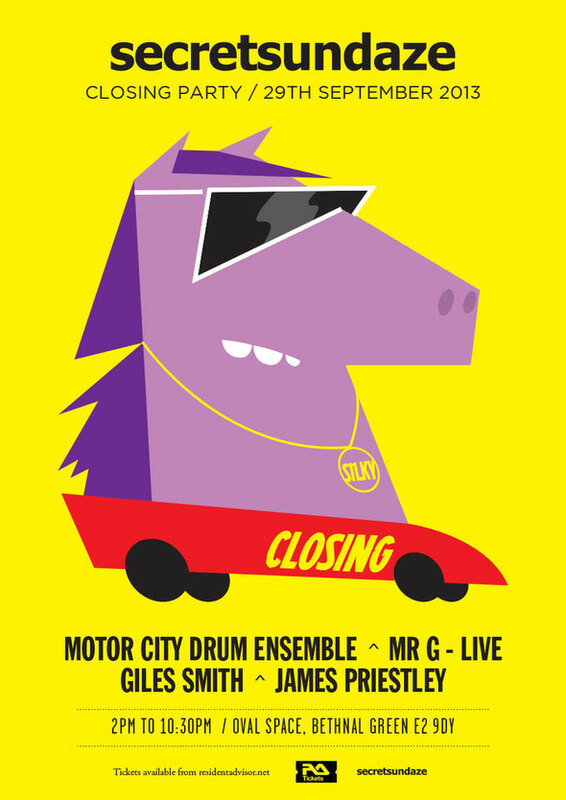 The final secretsundaze summer daytime session of 2013 in the UK marks a return to Oval Space – the scene of two secretsundaze parties this year – for the secretsundaze Closing Party, with Motor City Drum Ensemble, Mr G (live), plus residents Giles Smith and James Priestley. 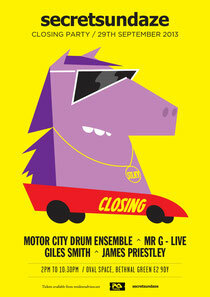 Headlining the event, and returning for the third time, will be DJ and producer Motor City Drum Ensemble / MCDE. Since breaking through in 2008 with his own take on the sounds of Detroit – combining soul, jazz and techno on his much-loved ‘Raw Cuts’ series – he has created a profile for himself that has won him fans as significant as Moodymann. His warm, analogue productions have raised the bar for that sound, and remixes for Caribou, DJ Sprinkles, Zero 7 plus his genre-hopping mix for the DJ Kicks series have confirmed his status.